that bring holistic health and balance to problem areas. Cold Sores, Warts, Corns & Calluses. which is ideal to use on artificial nail problems. 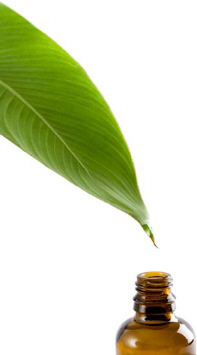 THIS PAGE DISPLAYS 6 FINER FRAGRANCE TREATMENT OIL BLENDS. 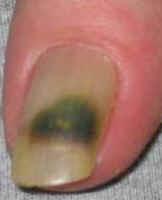 The most common type of fungal nail infection occurs on the skin under the nail and in the nail bed. 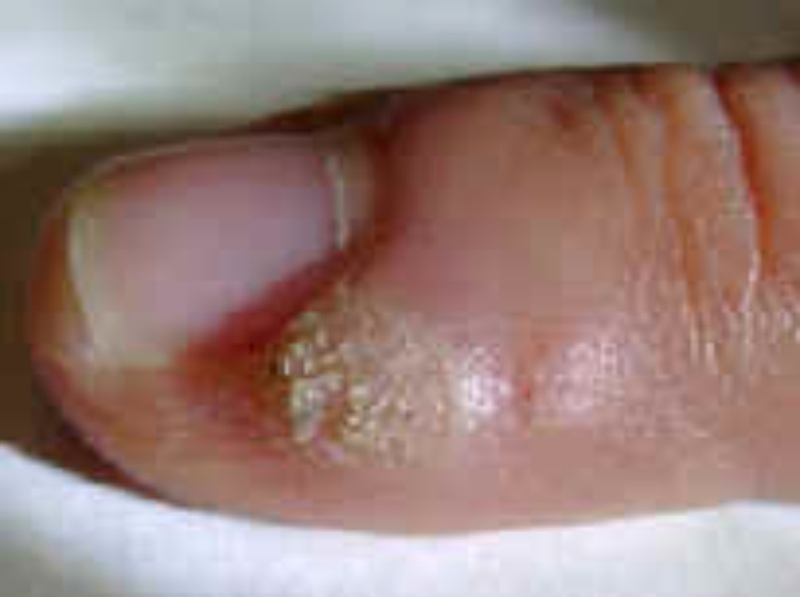 The other types of fungal nail infections occur on the surface of the nail, within the nail, or in the skin at the base of the nail, this is a common occurrence usually caused from artificial nails lifting and bacteria breeding underneath them. Finer Fingers Anti-Fungal Treatment will assist in clearing up fungal nails however if the problem continues to persist you should seek medical advice. Use on all types of fungal infections on the nails. Ideal to use on fungal nails caused from artificial nails. Apply after they have been removed. Massage around nail 3 times a day. If problem persists please see your doctor. Finer Fingers Cuticle Softener will condition and moisturize the cuticle on the fingers and toes. It is great for softening finger tips to prevent dryness caused by water or cold weather. Massage into cuticles before retiring. Use on a daily basis. Massage into nails & nail beds before retiring. Do not apply nail polish on afterwards. Use on a daily basis. Dip a cotton bud into water & apply 1 drop or less of the Cold Sore Blend onto it. Apply twice a day until gone. Bathe feet daily in a bowl of warm water combined with 2 tablespoon of Finer Fragrance Plain Bath Salt and 10mL or 2 teaspoons of cider vinegar. Dry skin, and rub the Corns & Callus Blend into required area. Repeat daily until area begins to soften then rub dead skin away with a pumice stone. Continue to use treatment weekly for to prevent future problems. Apply to wart with cotton bud twice daily. If under 12 years of age dilute 5 drops into 10ml of cider vinegar and apply twice daily.